Hello all. Wonderful to talk to many of you about your final makes last week. The work is inspiring! (For those who couldn’t make it, I will post the archives in our Canvas site so you can find them easily). This is our final week and final makes and self-assessments due to me anytime this week. Please share your make on your blog, if possible, and describe what connected learning principles inform your work as well as in what ways your make supports equity. You can email me your assessment if you don’t want to share that publicly. Details about both are re-posted below. Final “makes” should be something that you design that supports you in building towards equity and connected learning beyond this course. What you make can relate to your work with learners and/or in your professional learning. Go back to your inquiry question/s and see where that leads you. Note that do you do not have to start from scratch— you can continue, remix, remediate something you or your classmates have already started in this class (or in any other). That said, I’d like you to take whatever you do to its next level (i.e. a new audience or purpose) and consider it as something you are creating that can help make connected learning and equity a reality in the world (in big or small ways). When you share your final make, reflect on and describe what connected learning principles inform your work as well as in what ways your make supports equity. And as per a request, here are some examples of final makes from ED677ers in the past. Exploring the key principles of Connected Learning, with specific attention to issues of equity, as demonstrated through weekly making, reflecting and sharing. Contributing regularly to our class discussions. Engaging with others (another community, students, colleagues, etc.) outside this course each week and sharing that work with us. Documenting and reflecting on your journey in support of your own assessment and reflection. Create and share something to support your own work as well as others in thinking about connecting learning in equitable ways beyond the life of this course. How well do you feel you met these expectations this semester? How do your successes and reflections on improvement inform your connected learning moving forward? What else do you want me to consider when assessing your performance and participation over the past semester? Happy sharing in the week ahead! This week we continue to work on our final makes. We will share them, even if they are still works-in-progress, on Thursday or Friday nights. Please make sure you all sign up for one of these evening gatherings or email me so that we can discuss an alternative plan. Here are some ideas/suggestions about how to do that. Share a link on your blog post this week as part of your blog/reflection (see below). Post it on social media. If you want to try to tweet, here is an example of a tweet you can experiment with (feel free to edit of course). One of us should post it to the Arcadia Connected Learning Google Community. Throughout the week, there is an “annotathon” based on a chapter of a book we’ve looked at called By Any Media Necessary. The chapter is titled “Storytelling and Surveillance: The Precarious Public of American Muslim Youth” and there is a webinar Tuesday evening related to this you could also tap into. Find out more about this opportunity. Check out the various blog posts about the work of LRNG Innovators. On May 1st we will announce the awards for the 2017 LRNG Innovators Challenge. And the 2015 awardees are in the process of sharing their work as we speak. After participating in one of the sharing gatherings this week, blog about that experience. What was most exciting to you? What else did you notice? What questions did it raise? What ideas did it generate and what are your take-aways in terms of equity in connected learning and teaching? As we enter our final two weeks of class, I encourage you think about your learning in the way that Joe Dillon so beautifully describes … did your hands get any less cold and sweaty as you got used to hitting the “submit” button on your blog? Were you able to find a way to balance your weekly findings with your need to get the laundry in and rest after a week of teaching? Have you made any new connections with students or colleagues that have propelled your thinking forward? With your own learning as the focus, take this week to reflect back on what you have been working on this semester. Reread your blog. Visit the blogs of your classmates. Look at the things that you made — from maps, to annotations, to connections with others. What are the small moves you made along the way? What are some of the big ways they supported you in being a connected learner this semester? What have the implications been for your agency as a teacher? With the learning of your colleagues as part of our shared purpose too, take this week to spend some time with our shared Equity in Connected Learning presentation. Make sure everyone gets some feedback on what they are working on and thinking about; respond when you get feedback; talk together about what we should do with this presentation – with whom should we share it, why and how? And now, with learners as your focus, turn your attention to the implications of what we’ve been doing together this semester; what is important about it and why? Blog this week about the implications for learners you specifically work with. Ask them to be part of this reflection if you can; if you can’t allow yourself to use what you know to imagine. After all this, start to think about your final “Make” for the semester. The next two weeks will focus on doing this work and getting prepared to share it with others. When you share your final make (or make in progress) next week, I will ask you to reflect on and describe what connected learning principles inform your work as well as in what ways your make supports equity. So just fyi about that for now. Final makes and self-assessments due to me anytime during finals week at Arcadia. You also have the next two weeks to work on a final self-assessment of your learning and connecting over the course of this semester. I’d like you to take your time with this and integrate this into your final making process. Please do not submit this to me until after the final gathering to share on the 28th. My recommendation is to take this first week to review the performance expectations from the syllabus, the questions for the self-assessment (also below) and then jot notes to yourselves about your work in this course. Put that aside and continue to work on your final make. … The following week, after you present your final make, then you should start to write it up your self-assessment and share with me. Happy Making in the week ahead! I’m happy to talk with you if you want a thinking partner as you move forward. Awesome making everyone! So inspired. In this week ahead, let’s also touch on what it means to be “openly networked,” both on and off-line. Start with your own experience with open — what does openly networked mean to you? … Write down a list of all the ways you hear or experience openness in learning and in networking. Next to that list, write out what questions you have. Next let’s listen again to the voices and thoughts of youth: Check out what youth are sharing at Hear Me and Youth Voices. Then return to Teaching in the Connected Learning Classroom (TITCLC) and read Chapter 5 edited by Bud Hunt starting on page 71. Meet Bud along with Antero Garcia and Janelle Bence, plus several of Janelle’s students, in this webinar called Classrooms as Community Hubs: Developing Open Digital Networks. As connected learners and teachers, let’s also think about ourselves and our open practices on the web and otherwise. What does that even look like in an ever-shifting technological and political ecosystem? What does it meant to read, to write, to participate online? What’s important to know, to share, to practice, to protect? National Association for Media Literacy in Education. 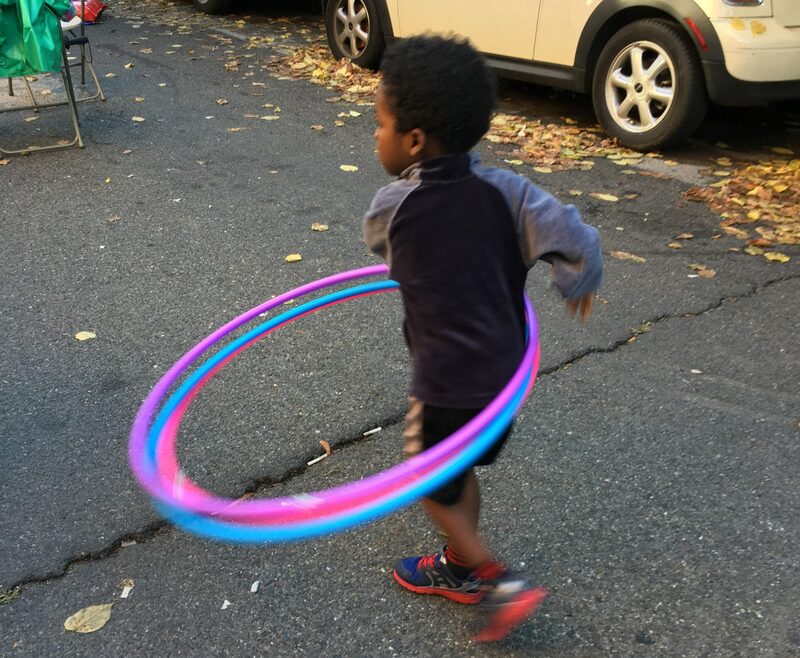 And finally, in truly openly connected spirit, there was another recent Marginal Syllabus annotathon last week around this Colorlines article by Chris Emdin, How Can White Teachers Do Better by Urban Kids of Color? The article is actually an excerpt from the book I mentioned last week, For White Folks Who Teach in the Hood…and the Rest of Y’all Too: Reality Pedagogy and Urban Education. I offer this as a continuation of a conversation during last week’s gathering re: about getting to know the learners we work with (urban kids of color, or otherwise). Feel free to jump into this conversation and tag your comments #ED677 to keep us connected (both to annotations as well as to responses). Embracing the connected learning principle of openly networked learning is manageable. It does require, however, that teachers and other facilitators of learning make small moves toward openness and connectivity. Making a move, like Gail, to invite teachers exploring similar topics to do so together is not difficult, but it does require an awareness of what others are doing. Gail’s position as a district employee provided her this perspective. Mike chose to reach out to others online and to reconsider his museum practices. Jenny and Adam reached out to experts in the community who had expertise that could help their students. Small moves, but with powerful impact. Which makes me wonder: What kind of small moves can we make in our practice to further open our networks, on or off-line? Let’s play a bit with this idea of “small moves” and what these moves can be … This week put together a short narration or a poem about a small move you have made, plan to make, and/or would make with your super-powers in support of the learners you teach. Your narrative or poem could be based on your experience or fictional — it could be written, or drawn, created in something like Comic Life, done with Flash Cards, or simple be a set of images you compile in something new-to-you like Haiku Deck (free trial version available) or Voicethread (I understand if you register, you can use up to 5 for free). To help you get started with your story, you might want to brainstorm a few things — drawing from the vignettes shared in our reading, in what ways do you become aware of what others are doing? How and in what ways do you reach out to others to support your practice, either on or offline? 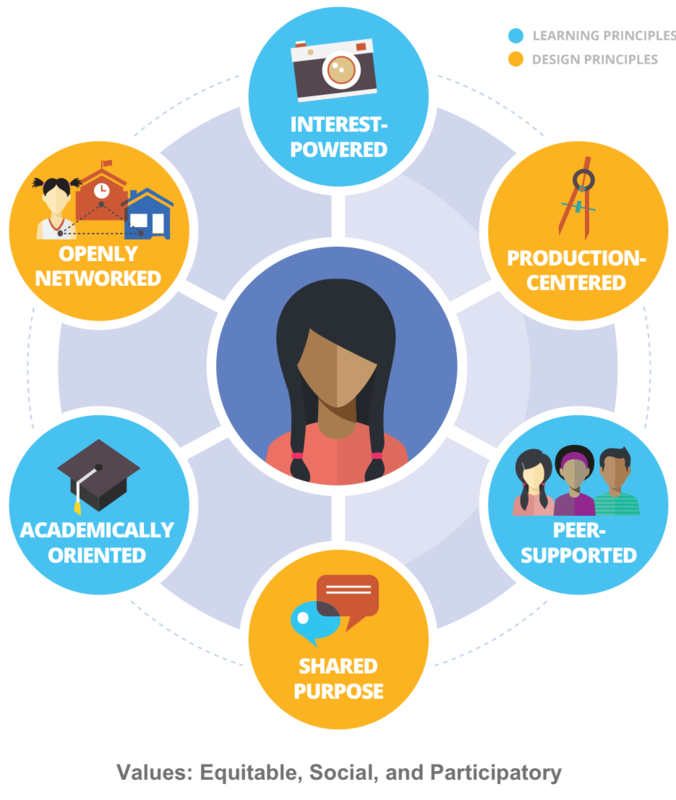 What connections do you make (or want to make) with experts or expertise in your community in support of connected learning? This week, I encourage you to find a set of openly networked ways of learning that support your inquiry question. As we start our transition into the second half of the semester we will begin to dig into Teaching in the Connected Learning Classroom, our guide for the next six weeks. This text is divided into six chapters, organized around the six Connected Learning design and learning principles, and draws together work and reflections by educators. During these six weeks, I encourage you to follow your question/s throughout and continue to refine the inquiry you are focused on. This week, for example, ask about the role of interest in the question you surfaced about yourself as a connected learning or as a teacher designing for connected learning and equity. Start this week off with a visit to Letters to the Next President 2.0, a project from 2016 where youth were asked to write a letter to the next U.S. president — whomever that person was to be — about matters that mattered most to them. Find 3 letters that stand out to you. What role does interest play in these letters? What else do you notice about them? What questions are raised? You should also download a copy of Teaching in the Connected Learning Classroom. This week, please read the Preface and Introduction along with Chapter One: Interest-Driven Learning by Nicole Mirra along with Christopher Working, Chuck Jurich and Meenoo Rami. Then, dig into this video which is a discussion between grantees of the LRNG Innovators Challenge in 2014. Here they are sharing aspects of the work they did to create “No Bells, No Walls” for learning out of the interests of their students. Watch this video which I have embedded in another social annotation tool called Vialogues. Add comments while viewing for yourself and others. What is the role of interest in the work that the teachers are talking about? What are the implications in these examples? Finally, picking back up on the thread around play and games, Constance Steinkuehler is a games-based learning scholar from the University of Wisconsin and in this interview on Interest-Driven Learning at Edutopia she describes how her work with games-based learning led her into a focus on interest-driven pedagogy. When we first started this process of connecting our learning here at ED677 we took the time to honor our interests. This week we are focused on unpacking interests — personal, professional, political — and thinking about their implications for learning. What does it mean for learning to be driven by one’s interests? What is revolutionary about it? What are the implications for teaching and for equity? This week, write your own letter. Like we encouraged at Letters to the Next President 2.0 last summer, letters can be written in text, but also can be spoken word, video, images, political art, etc. (There are many resources here you are welcome to browse to support letter writing and/or making an argument around a topic of interest for public distribution). Express your ideas about something you care about to someone else who has some power to do something about it; this can be a hypothetical person, a group of people, an open letter to a more public community, etc. You can publish your letter on your blog or else just share a piece of it with us. After writing your letter, blog about the implications of this kind of this letter-writing and/or interest-focus on learning. What are the implications for equity? What does it make you think about vis a vis your inquiry? This week it’s easy because you already did part of it — find and share 5/6/7 letters by youth and/or your classmates that are interesting to you vis a vis your inquiry and the role of interests in designing for connected learning and equity. I made some adjustments to our ED677 syllabus I want to highlight for your information: First, I moved the mid-course self-assessment until next week; Second, I also changed around the order of the principles we will be looking at over the next six weeks to follow the order that they appear in the Teaching in the Connected Learning Classroom book that we are reading. 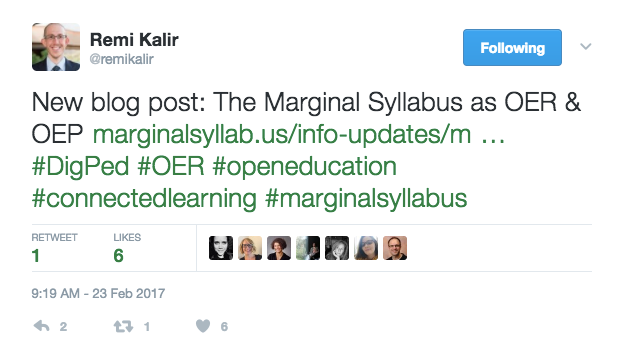 Also, check out this blog post by Remi Kalir about the work we’ve been doing here at ED677: Marginal Syllabus as OER and OED. Fine wobbling this past week everyone. Keep it up and take notes for yourself as you go. These wobbles raise questions. And the questions will support us in connecting our learning in new and different ways. Let’s start first with some additional inspiration for our flowing and connecting: What, for example, can we learn from the genius of Hip-Hop? Let’s take this week to focus on ways of staying fresh, learning from each other, and being resourceful. How do we do that? One way is by continuing to notice where we wobble, to ask ourselves questions about these moments, and begin to take a stance of inquiry around our practice. Read At Last: Practitioner Inquiry and the Practice of Teaching: Some Thoughts on Better by Susan Lytle. Using the notes from your pose/wobble/flows, and the questions that emerge from them, I would like you to start identifying an inquiry question (or set of questions) that will guide what you do the rest of the semester. Inquiry questions tend to be the kind that keeps you up at night (or wake you up in the morning) … ones that emerge when you as you pose/wobble/flow… that which you seek to make “better”. What keeps you up, in your context, when you think about designing for connected learning and equity? Start by writing 10 questions that you have about yourself as a connected learner/teacher and 10 questions that you have about designing for connected learning and equity. Next, pick one of these question and write about it (or audio/video record yourself talking about it) as though you are the expert. Write about why it is of interest to you and all that you already know about it. Write/discuss what you would like to know about it that you don’t already know. Now find a focused sentence from this writing/recording and do some freewriting (or maybe even some freestyling!). Use this free association to take you a bit deeper with your question: what are you really interested in related to connected learning and equity? What makes your pose, wobble? Or your wobble, flow? Blog this week — using text, video, sound, and/or images — about the questions that start to surface for you as you pose/wobble/flow your way around being a connected learner or about connected learning and equity. In addition to writing a blog about your inquiry above, find 5/6/7 resources that might relate to the questions you are asking about connected learning and equity. Take the time and go back through what you have referenced or gathered so far, tap into the sources I’ve been drawing from each week for our shared readings/watchings, as well as each others blogs. Richness abounds! Throughout Spring 2017, colleagues of mine are hosting an open online course called Networked Narratives about digital storytelling and civic imagination. This is both a course, based at Kean University, as well as an open and online set of opportunities for anyone interested in tapping into the conversations. This venture is full of alchemy — so beware! You never really know what you will find here. On Tuesday at 1pm ET, a live “studio visit” will happen with Howard Rheingold, longtime educator and “netizen,” and his daughter Mamie. They will focus on the topics of: What does it mean to be “Net Smart” in an era of alternative facts and data tracking? What happens to our human spirit when when we proceed into an ever more technology-infused existence? You are invited (and note, all of this is entirely optional). You can tap into parts of the discussion via Twitter at #Netnarr.